This “liquid gold” oil is most people’s gateway oil. Argan oil captured the market’s attention more than five years ago and is still selling strong — but this popularity spawns opportunities for greenwashing and knockoffs. That’s where certification and a trustworthy brand makes all the difference. Enter Acure Organics. 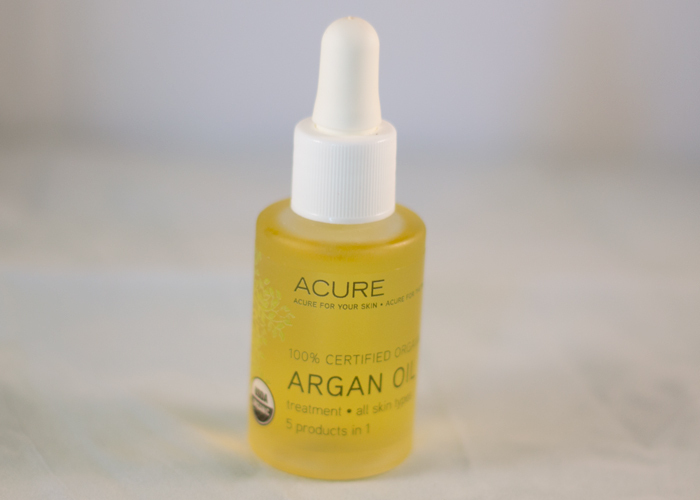 Acure’s 100% Certified Organic Argan Oil has been holding strong on my favorites page since I created it (and I’ll be updating it soon), and for good reason. Acure Organics’ 100% Certified Organic Argan Oil is USDA-certified organic, extremely accessible at most health food stores and won’t break the bank at $14.99. It’s got that beautiful, sweet-yet-nutty smell that only pure, unadulterated argan oil delivers and a striking golden color that looks great on the vanity. This is the oil that I constantly recommend to new-to-naturals friends and coworkers because it’s so approachable and it’s the real deal; that USDA Organic certification gets “light green” people’s attention as they make the switch to cleaner products. The high amount of vitamin E and essential fatty acids in argan oil works wonders on restoring hydration from head to toe. 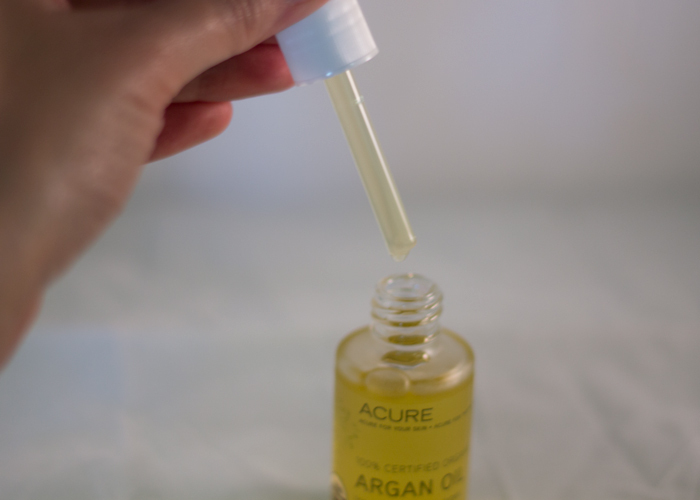 I love Acure Organics’ 100% Certified Organic Argan Oil as a hair/scalp treatment, a nail/cuticle soother, an oil cleanser, an overnight facial hydration treatment and an all-over body moisturizer. Most pure argan oils are going to work just fine in all of these ways, but what makes me come back to Acure’s 100% Certified Organic Argan Oil is the pricepoint. I don’t feel stingy bad about slathering it on head to toe because I know it’s something I can easily restock as a staple item. No matter how popular argan oil may get thanks to an over-saturated market of companies trying to cash in on its appeal, only a few companies will continue to stand out as trusted argan oil suppliers. Those companies will continue to hold USDA organic certification, buy from small women’s cooperatives in Morocco and ensure sustainable harvesting of the Argan tree. Acure Organics is definitely one of those companies. What argan oils do you use? Have you tried anything from Acure Organics? Tell me in the comments section!